Some action happens blindingly fast and finishes in an instant. High-speed shooting slows the action down in replays, making time flow slower-than-usual as the event unfolds. Played back on a monitor at 30 fps, scenes captured at 60 fps are half the speed, which can be described as 2x slow motion. In live sports coverage, broadcasters often show slow-motion replays as sportscasters comment on a play. Immediately after the play, we often see replays in 2x–3x slow motion. High-speed shooting has been around for many years, since the era of film photography. One technique used with high-speed cameras for industrial applications such as R&D and production control was to advance film more quickly during recording. Unfortunately, film length and transport issues limited the maximum number of frames and frame rate. Solutions were found as other industrial high-speed cameras were developed—many different kinds, as manufacturers changed resolution and image quality, increased recording speeds and the number of frames, and ability to shoot several times. 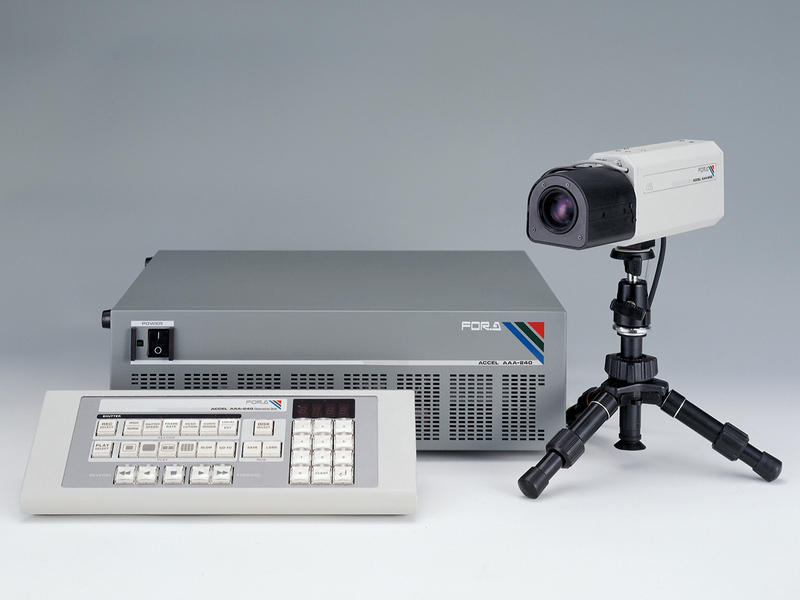 FOR-A entered the high-speed camera market with the AAA-240, developed in September 1993. At that time, the camera captured a series of 384x120 JPEGs at 240 fps. Meanwhile, in the entertainment industry—notably in production of movies and TV commercials—studios were beginning to record with variable frame rates. Slow and fast motion in movies was produced by undercranking and overcranking, which advances the film slower or faster than usual. Just how much slower or faster to film a scene depended on the director's vision, and based on this, cinematographers decided how much to under- or overcrank. As video editing took off, some editors initially created slow motion by writing the same frames repeatedly when copying tape. The movement produced this way was not exactly continuous, but it was able to simulate slow motion. Now that non-linear editing is prevalent, editors are using frame interpolation and adding blurring, which makes it easier to create slow- and fast-motion scenes. These techniques are supplemental, however, and different from under- or overcranking when shooting. Slow and fast motion hit the mainstream in the entertainment industry in 2002 as variable frame rate cinema cameras appeared, providing an alternative to industrial high-speed cameras. Though still tape-based, these cameras converted video to 720/59.94p to slow it down or speed it up to 4–60 fps. In time, it became possible to record at higher frame rates, as image sensors grew larger, noise was reduced, image quality improved, and cameras gained support for file-based recording. High frame rate recording is now a standard feature on many video cameras. FOR-A launched the VFC-7000 in January 2010. As a high-speed HD camera, it offered higher frame rates yet maintained a level of image quality and sensitivity that enabled use in live coverage. The 1280x720 700 fps VFC-7000 brought broadcast quality to a high-speed camera. 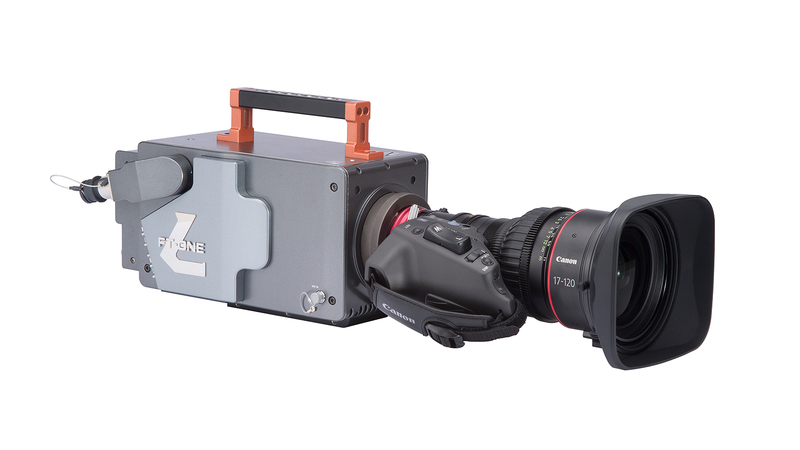 June 2012 saw the release of the FT-ONE, a high-speed full 4K camera also ready for movie production. More recently, the new FT-ONE-LS has solidified the FT-ONE series reputation in groundbreaking high-speed full 4K cameras by recording in full 4K at up to 500 fps, or in full HD at up to 1300 fps. Smooth slow motion of consecutive frames is possible, with action captured in vivid detail.